I’ve been wanting to do a project on how to use upcycled glass jars for organizing for a while now. And while thinking about it, which rooms in the house are ALWAYS crying after some much-needed tidying and organizing? No doubt, that’s for sure both my kid’s rooms. 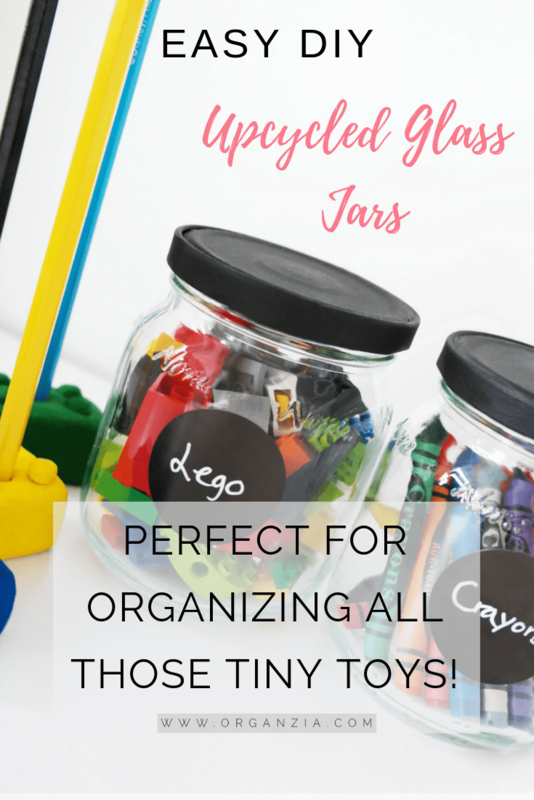 So today’s project is just a quick and simple DIY project where we use upcycled glass jars to store and organize different kinds of kids supplies, for example, crayons, beads, stamps, lego, erasers etc. 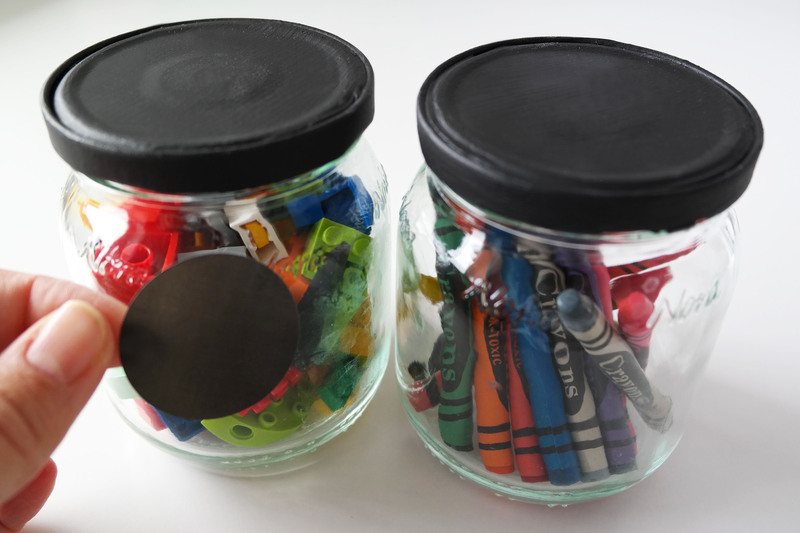 Take the lids of the glass jar you’re using, and paint them with the chalkboard paint. Lay the lids flat on some paper and let them dry.When lids are completely dry, paint another coat so you get a nicer finish on your glass jar lids. Now that you have your lids all nice and dry attach them back on to your glass jars. 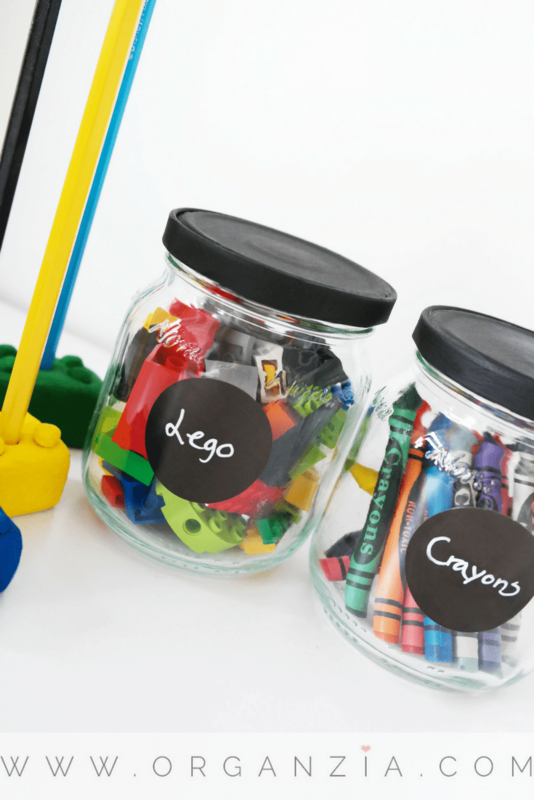 Now peel off some stickers and attach them to your newly upcycled glass jars! 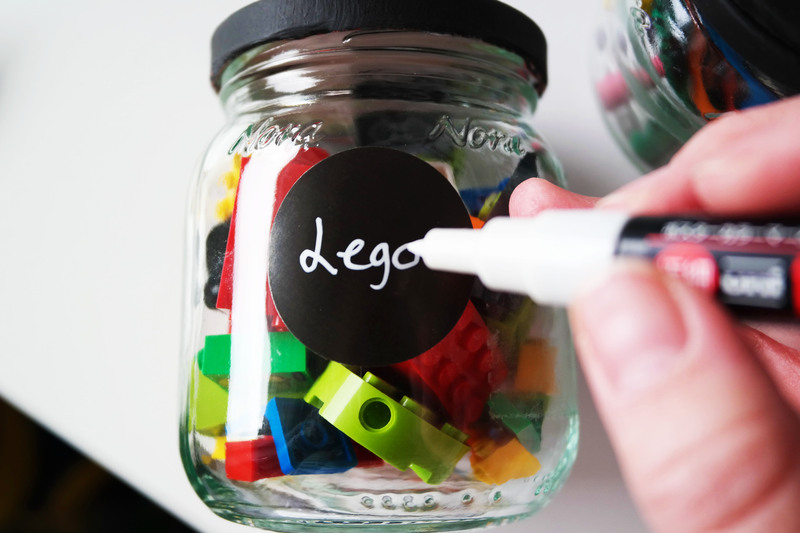 Use your white marker and write down the content of the jars. Some of you might remember my post Organized spice drawer using glass jars. I’m using the same marker that I used on that project on these upcycled glass jars as well. The marker I’m using is my favorite marker from POSCA. I’ve been using this marker on so many projects, and just love how versatile it is. The marker can be used on many different surfaces including glass, stone, wood, ceramic, plastic and even fabric! 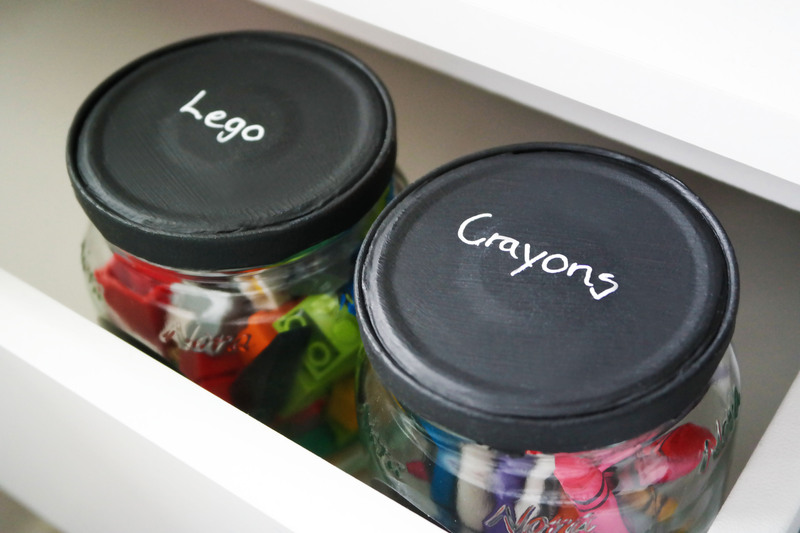 If you’re storing these upcycled glass jars in a drawer like we are, be sure to write the content on the top of the lid as well for a super organized drawer an easy access. You can write on the lids with a piece of chalk, or just use the white marker like I did. Hope you enjoyed this tutorial! If you’re looking for more fun projects be sure to check out my earlier post How to make Lego pencil holders, easy craft for kids. 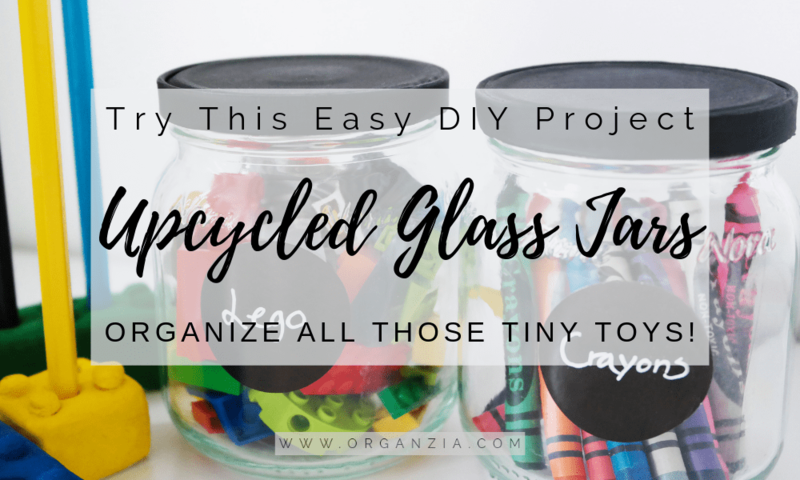 You can see the pencil holders in some of the pictures in this post, and the pencil holders work great together with these upcycled glass jar for some extra kids desk organizing.